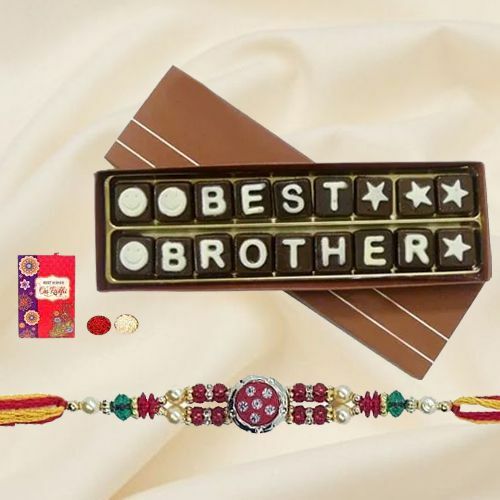 Friends come and go, but you my dear brother, are always there! 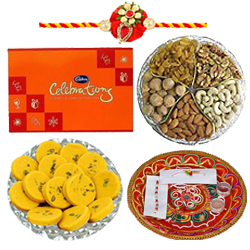 Spread smiles all over the lives of your dear Brother by Mouth-Watering Sweets with Decorated Thali, Holy Puja Aarti Thali with Kaju Katli and Rakhi, asty Salty Assortment with Sweetest Dessert Rakhi Hamper, Yummy Cadbury Celebration with Mixed Dry Fruits and Rakhi, Astonishing Gift of Badam Barfi from Haldirams, Mixed Dry Fruits, Homemade Chocolate and Shree Thali, Exotic Gift of Exceptional Collection of Sweets from Haldirams along with Holy Steel Thali, Haldirams Soan Papdi and Rakhi, Delectable Gift of Appetitive Sweets from Haldirams, Exquisite Gift of Delectable Cadbury Celebration for Kids, Ecstatic Gift of Tempting Cadbury Chocolates Hamper, Pious Gift of Rich Chocolates Hamper, auspicious Celebration Special Rakhi, Pooja Thali with Dry Fruits and many more on this Raksha Bandhan that showers its beauty upon those people to make them happy. 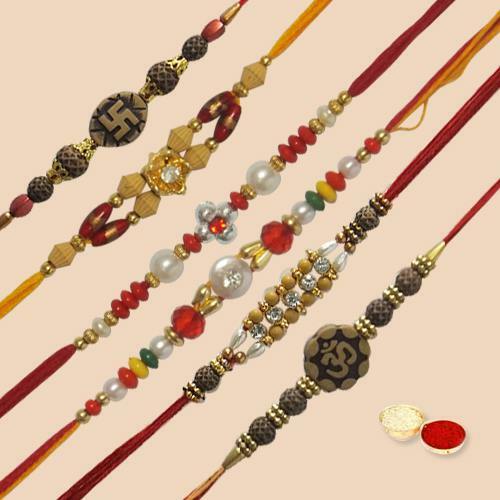 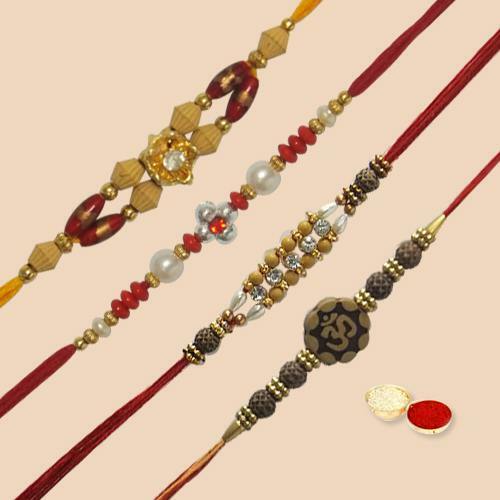 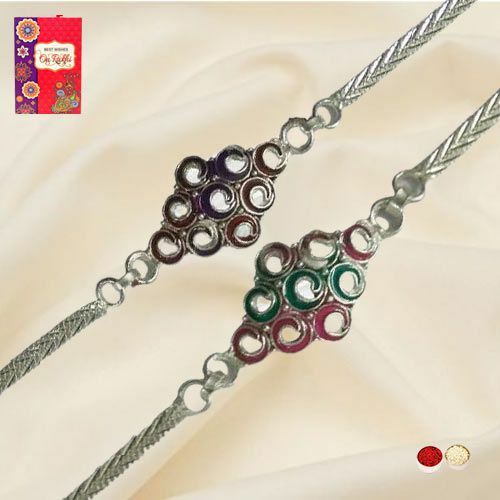 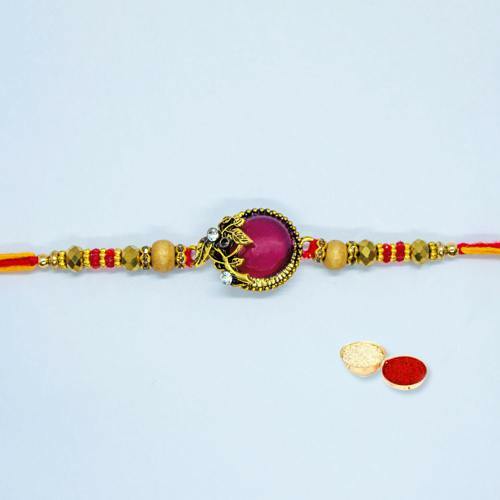 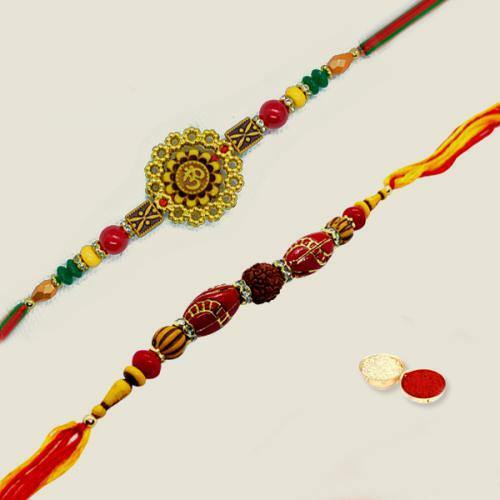 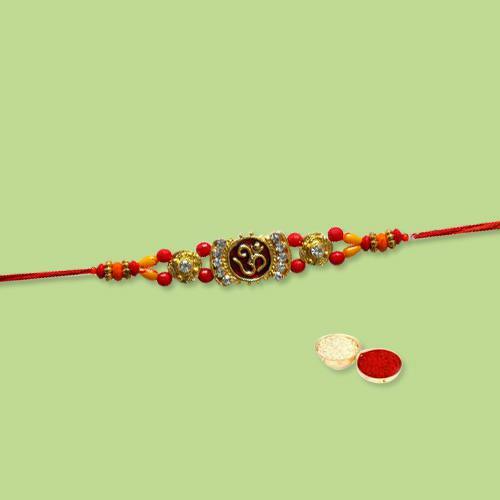 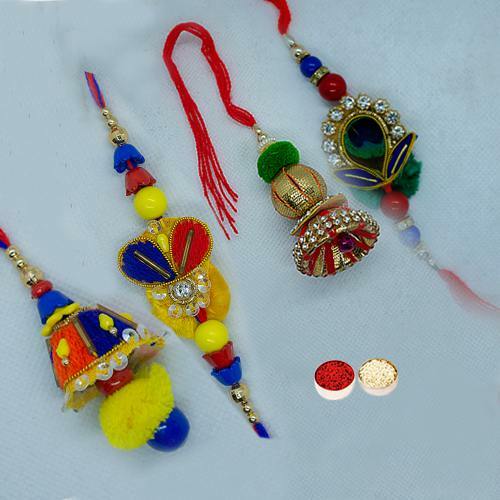 Raksha Bandhan is the celebration of brothers and sisters. 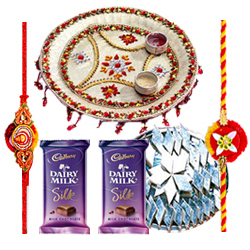 This year it will be celebrated on 15th August. 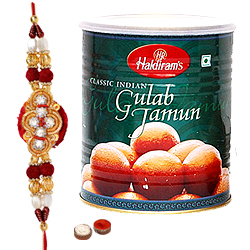 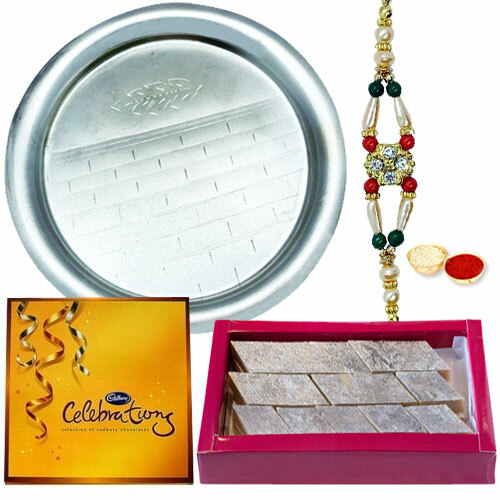 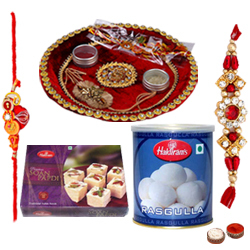 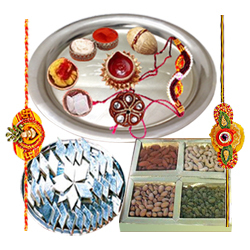 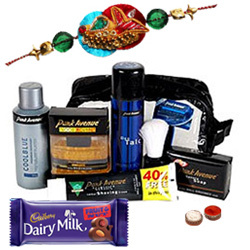 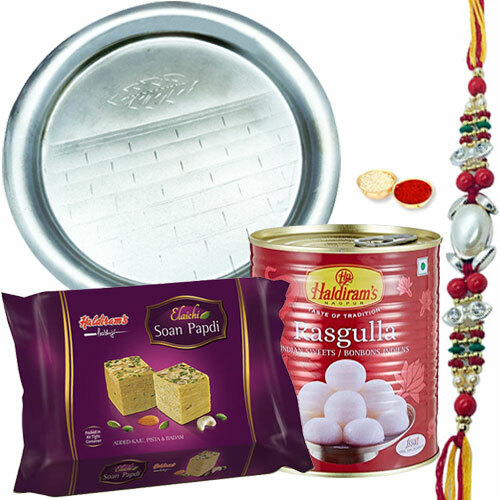 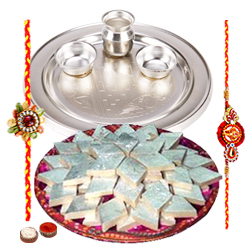 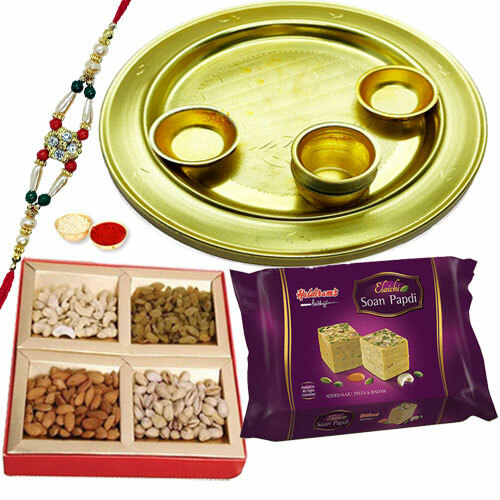 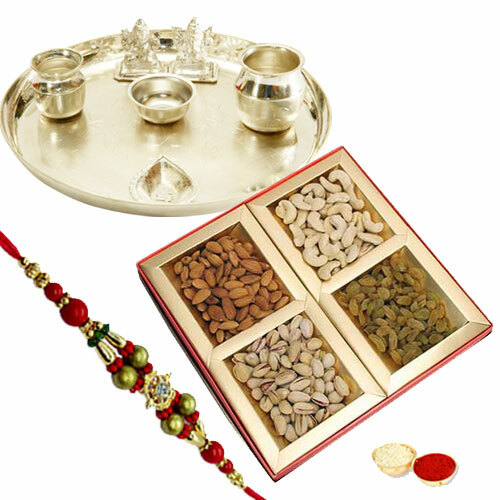 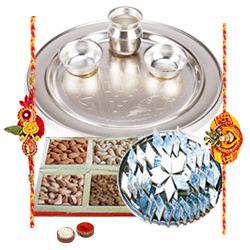 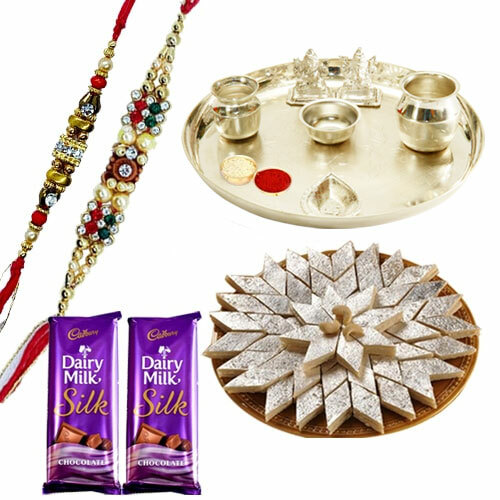 Present these Gifts like Sweet Delight with Kaju Pista Roll from Haldiram with Rakhi, Attractive Rakhi with a Men's Gift on Rakhsha Bandhan, Arresting Gift of Appetizing Kaju Katli Haldirams Sweet and Wonderful Pooja Thali, Charismatic Gift Pack of Sensational Chocolate from Celebration, Yummy Pack of 18 pcs. 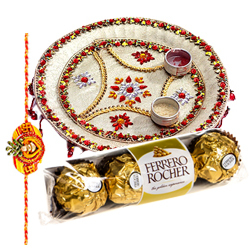 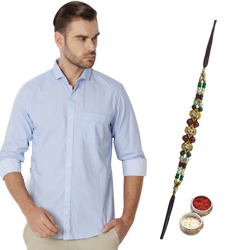 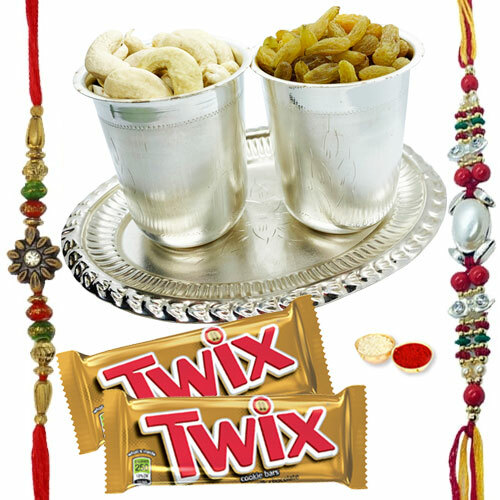 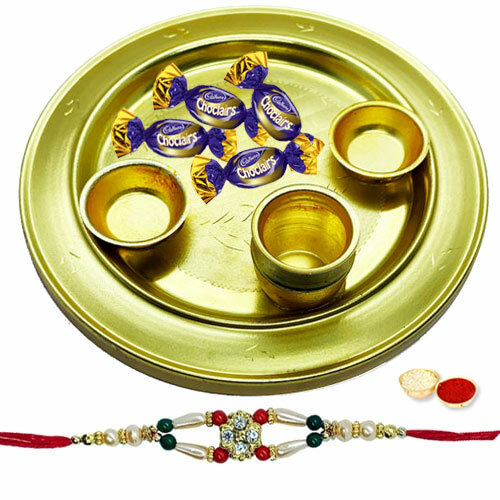 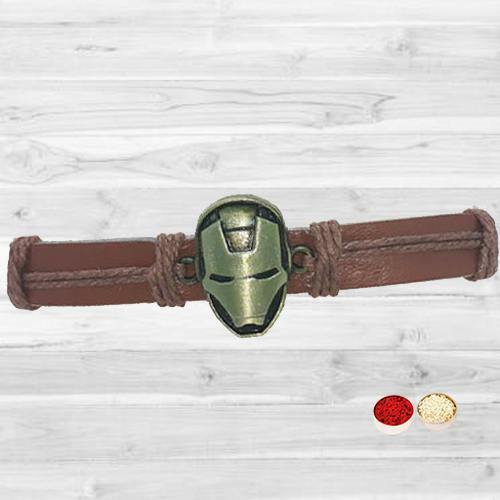 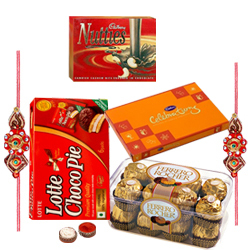 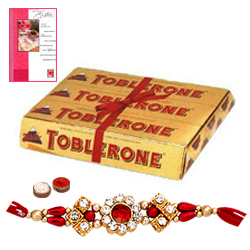 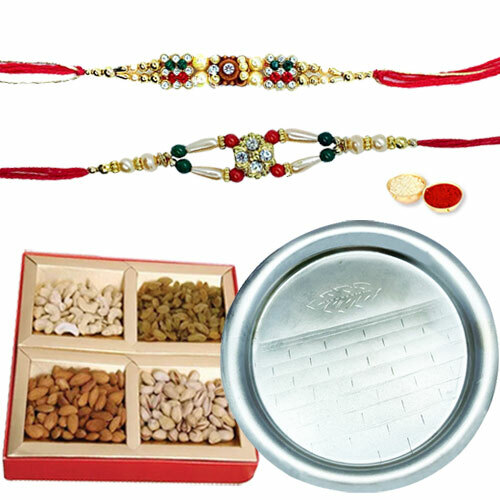 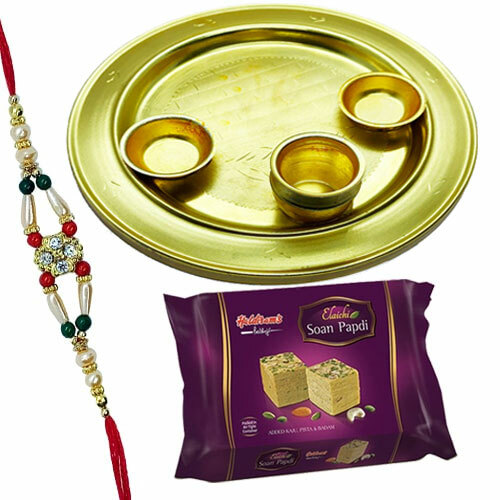 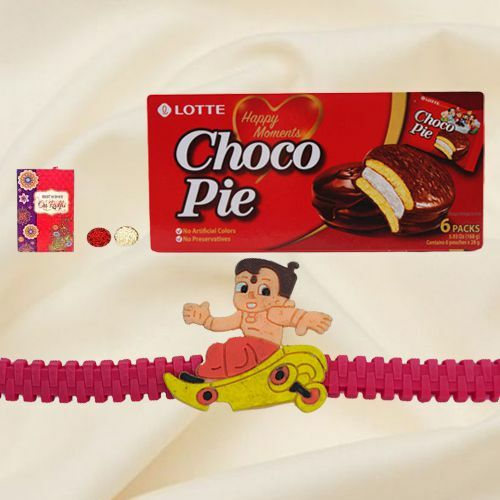 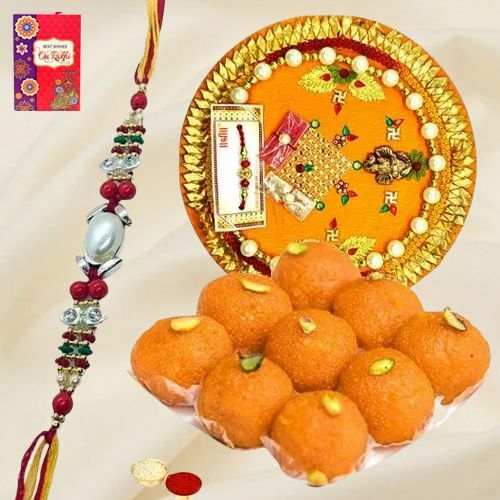 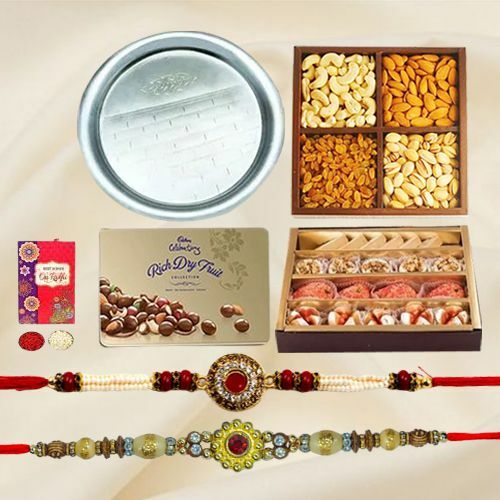 Chocolate with Rakhi, Yummy Sweet Treat with Rakhi Thread, Beautiful Rakhi Sets (3 Pcs), COSCO Football with Rakhi and Roli Tilak Chawal, Classy Gift of Scintillating Pooja Thali and Appetizing Dry Fruits on this Raksha Bandhan and create a happy picture in their hearts. 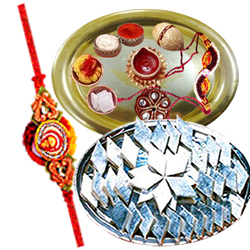 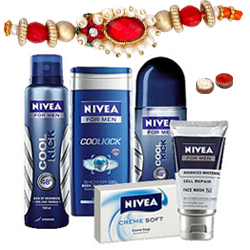 One such festival which rejoices every bit of these sacred connections is the occasion of Raksha Bandhan, Greet your dear Sisters with these stunning Crunchy mixed chocolates Gift delight, Ageless Beauty with Ponds Age Miracle Gift Hamper, Stylish Pearl Bangles (2 Rows), Arresting Leather Rich Born Clutch for Women, Attractive Ladies Special Meenakari styled Wooden Jewellery Box, Splendid Chocolate Hamper for Sister with Impressions of Love, Mouthwatering Best Sister Chocolate (18pcs) Pack, Designer Pearl Bangles with Heart and makes them feel special, loved and lucky.